Nissan North America is recalling 23,903 model year 2019 Altimas. The retainer clip connecting the low pressure fuel tube to the high pressure fuel pump may not have been locked into position. If the retainer clip is unlocked, the fuel tube may shift and cause a fuel leak, increasing the risk of a fire. If the fuel tube fully disconnects, the engine can stall, increasing the risk of a crash. Nissan of North America is recalling 86,265 model year 2009 Muranos. The valves within the ABS Hydraulic Control Units (HCU) may react with brake fluids containing specific corrosion preventative additives. This reaction may cause the valves to not close properly. If the valves do not properly close, additional brake pedal travel may be required to stop the vehicle, increasing the risk of a crash. November 21, 2007 Nissan Motor Co. is expanding a U.S. recall of Sentra and Altima sedans to repair a defective crankshaft sensor in 2002 and 2005 to 2006 models. The faulty sensor could cause the engine to shut off. Nissan is recalling about 13,000 Frontier pickup trucks from the 2012 through 2014 models year, the National Highway Traffic Safety Agency (NHTSA) announced. The agency said it's possible a circuit breaker was improperly installed, which could lead to a short circuit that could cause a fire. The problem came to light after a consumer in Mexico reported smoke in the cabin of his truck. Nissan said it doesn't know of any accidents resulting from the problem. Owners will be notified when the recall begins in March. Nissan North America is recalling 104,762 model year 2011 Versa sedans and model year 2011-2012 Versa hatchbacks ever registered in Arizona, Arkansas, Delaware, the District of Columbia, Illinois, Indiana, Kansas, Kentucky, Maryland, Missouri, Nebraska, Nevada, New Jersey, New Mexico, North Carolina, Ohio, Oklahoma, Pennsylvania, Tennessee, Virginia, and West Virginia. January 30, 2008 Mitsubishi is recalling 7,340 Endeavor SUVs because the right side lower seat belt anchor may break off during a severe crash. The National Highway Traffic Administration reports that Mitsubishi is recalling 120,00 Endeavors from the 2004 to 2006 model years because the ignition interlock system may fail. The ignition key interlock cable may allow the interlocking cam to fall forward and allow the ignition key to be removed from the ignition switch when the gearshift mechanism is not in the park position, NHTSA warns on its Web site. Nissan North America is recalling 17,507 model year 2017-2018 Infiniti QX30s. The driver's air bag may unexpectedly deploy due to insufficient grounding of the steering components if an electrostatic discharge occurs and the air bag clockspring is broken. Nissan will notify owners, and dealers will add sufficient grounding to the steering components, free of charge. Nissan North America is recalling 468,815 model year 2008-2013 Nissan Rogue vehicles manufactured March 7, 2007, to November 26, 2013, and 2014 Nissan Rogue Select vehicles manufactured September 23, 2013, to July 2, 2014. The recalled vehicles may experience an electrical short in the harness connector due to a mixture of snow/water and salt seeping through the carpet on the driver side floor near the harness connector. An electrical short can cause a vehicle fire. Nissan North America is recalling 22 model year 2018 Nissan 370Zs. The driver's side curtain airbag may have been installed incorrectly during production, possibly affecting its deployment, increasing the risk of injury. Nissan will notify owners, and dealers will inspect the curtain airbag, correcting its installation as necessary, free of charge. 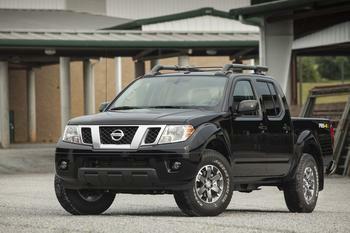 Owners may contact Nissan customer service at 1-800-867-7669. Nissan North America is recalling 415 model year 2015-2017 Nissan Juke Nismo RS vehicles. Due to a problem within the brake master cylinder, brake fluid may leak into the brake booster, reducing brake performance. If brake fluid leaks into the brake booster it can lengthen the distance needed to stop the vehicle, increasing the risk of a crash. 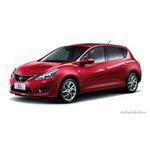 Nissan will notify owners, and dealers will replace the brake master cylinder, free of charge. Nissan North America is recalling 483 model year 2016-2018 Nissan Titans and model year 2016 and 2018 Nissan Titan XDs. Although accessories installed on these vehicles reduced the load carrying capacity, a Load Carrying Capacity modification label was not installed, possibly allowing the vehicle to be overloaded, increasing the risk of a crash. Nissan will notify owners and provide a new modification label, with installation instructions, free of charge. Nissan North America is recalling 215, 124 model year 2015-2017 Nissan Muranos, model year 2016-2017 Nissan Maximas, model year 2017-2018 Nissan Pathfinders, and model year 2017 Infiniti QX60s. The Anti-Lock Brake (ABS) actuator pumps may allow brake fluid to leak onto an internal circuit board. When brake fluid has leaked onto the circuit board, the ABS warning lamp will remain illuminated for more than 10 seconds after engine start up. Nissan North America is recalling 1,671 model year 2019 INFINITI QX50s. In the event of a crash in very cold temperatures, the trim cover may separate unexpectedly from the passenger-side knee air bag module instead of splitting at the trim cover tear seam as designed. If the passenger-side knee air bag cover detaches during deployment, the risk of injury can increase. Nissan North America is recalling 25,283 model year 2015-2017 LEAFs and model year 2014, 2015, and 2017 Sentras. Due to a manufacturing error within the airbag inflators, the passenger front airbag may not deploy properly in the event of a crash, increasing the risk of injury to passengers. Nissan will notify owners, and dealers will replace the front passenger airbag inflator, free of charge. Nissan North America is recalling six model year 2018 Infiniti QX30s. The bolt securing the right-hand side lower seat belt anchorage may have been incorrectly installed during production. This can result in the lower seat belt anchorage detaching in a crash. If the lower seat belt anchorage detaches in a crash, the risk of injury can increase.